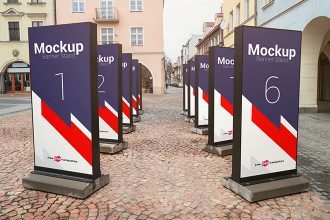 Mockups – it is one of the most popular category on our website. The reason is: the mockups are really very useful and convenient for graphic designers, for creating presentations and branding identity style and for many others. They are easy to be used and you can find lots of Free mockups that are very qualitative. Choose, download and enjoy! 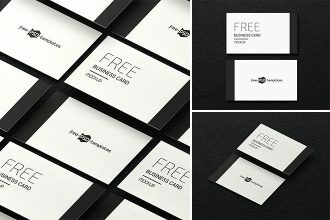 Showcase and promote your business card design using these Free 2 Flying Business Cards Mockups. These free business card mockups are easy-to-customize and photo-realistic and allow instant customization via smart objects. 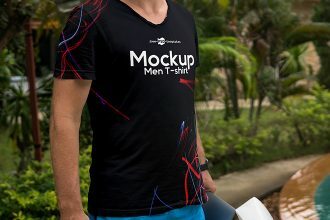 You are welcome to enjoy our latest freebie – Free Men T-shirt Mock-up in PSD. This highly customizable t-shirt mockup is perfect for showcasing product branding designs, label designs or for the promotion of apparel at online shops. Are you looking for photo-realistic free sketchbook mockups? 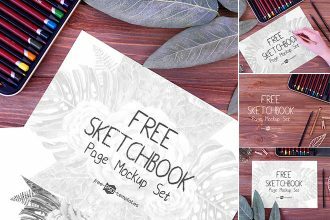 Feel free to download our new freebie – Free Sketchbook Page Mockup Set. These free mockups are highly customizable, so you can easily apply them to your sketchbook design or branding design. Looking for a professionally designed paper mockup set in order to use it for a resume, CV or office stationery branding design presentations. 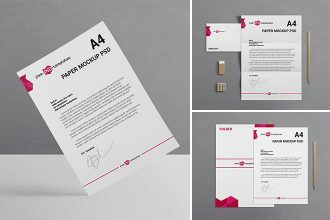 Download this free paper mockup set now and apply to your design. 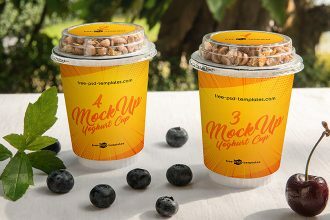 Enjoy this new free mockup – 2 Free Yoghurt Cup Mock-ups in PSD. Download it now and use for presenting your food package, branding or product label design in the most attractive professional way. You are welcome to download our latest Free Milk Bottle Mock-up in PSD. 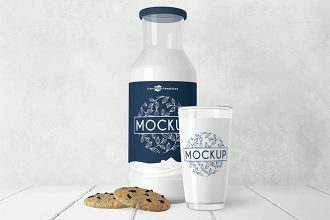 This free bottle mockups designed for easy customization of your own product branding and label design and creating professional presentations of your package and product branding designs. A high professional PSD design mockup can impress and convince any client. Our new Free Cosmetic Tube Mock-up in PSD is what you need for a cosmetic package and product branding design ideas. 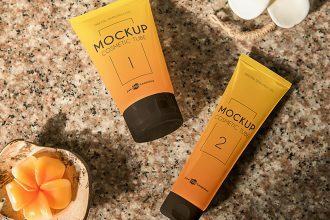 Just insert a ready-made cosmetic or product packaging design into a mockup and it’s ready to rock! 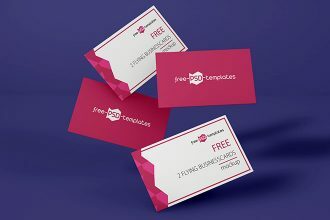 You are welcome to download our new mockup set in PSD – Free Business Card Mockup Set. Spruce up your business card design using this highly-customizable mockup in PSD in order to present your business card design in the best way. 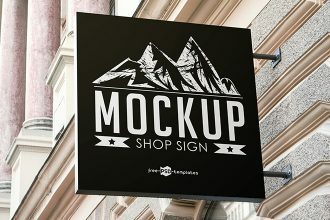 Are you currently working on an outdoor shop sign design? Once you finish your design, you will need a perfect photo-realistic mockup in PSD for an effective presentation to end clients. 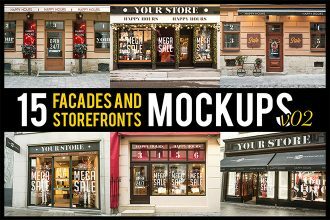 You are welcome to choose our new Free Facades and StoreFronts V02 MockUps + Premium Version for implementing your awesome ideas and create the necessary projects. Choose from Free or Premium version and enjoy the results! You are welcome to download our latest freebie – Free Banner Stand Mock-up in PSD. Apply this photorealistic free advertising mockup in PSD to your outdoor advertising designs. 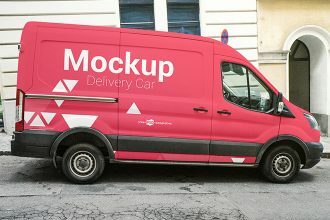 Enjoy our latest freebie – Free Delivery Car Mock-up in PSD. Thanks to smart objects you can easily apply this mockup to your own display advertising designs.